Prepare yourself for lots of blabbering and jib-jabbering (yeah, I'm aware how cheesy lame that sounds) about a product I really like. And now for the real reason I'm here: My review for the WEN cleansing conditioner. I could also title this blog "How To Keep Red Hair From Fading". You may or may not have heard of this product. As far as I know, at least in the Oklahoma area, this product is only available for purchase online. I first heard about it when a former coworker informed me that she saw an infomercial about it and it claimed to not wash out hair color. This information peaked my interest, but I was quite skeptical. If you know me very well, you know that I am always coloring my hair. My favorite color to play with is definitely red. I can hear some of you groan because you've tried red (and/or other colors), and it fades SO quickly. You either go to the salon or color it yourself and within a matter of 3-4 washes, it is no longer vibrant. After 8-10 washes, you basically can't even tell your hair ever had a hint of red in it. At least that is how it has worked for me. Yet I LOVE and cannot resist the confidence I have with red hair. That being said, red hair color is so high maintenance that I've given up on it several times. I've tried a lot of things to keep it vibrant, but to no avail. So, as I said, I was very skeptical about this product, but I decided to give it a try anyway. I thought on it a lot because it is a little pricey, but considering it is essentially a 2-in-1 product, I convinced myself it wasn't that bad. 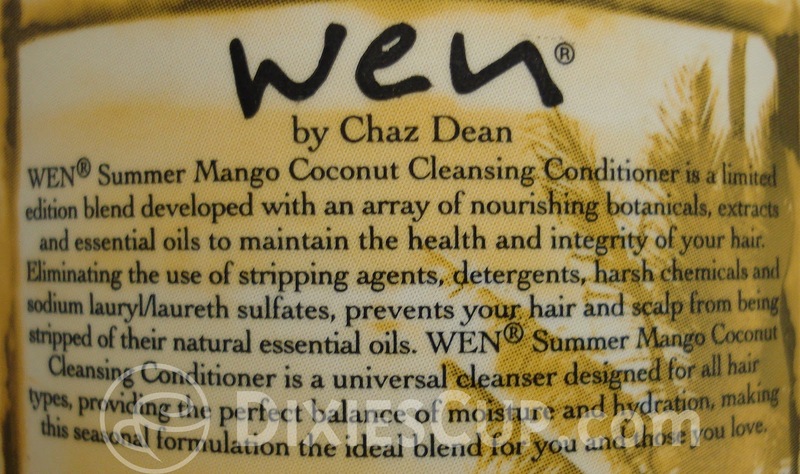 ;) Read on to find out how much I like this product! 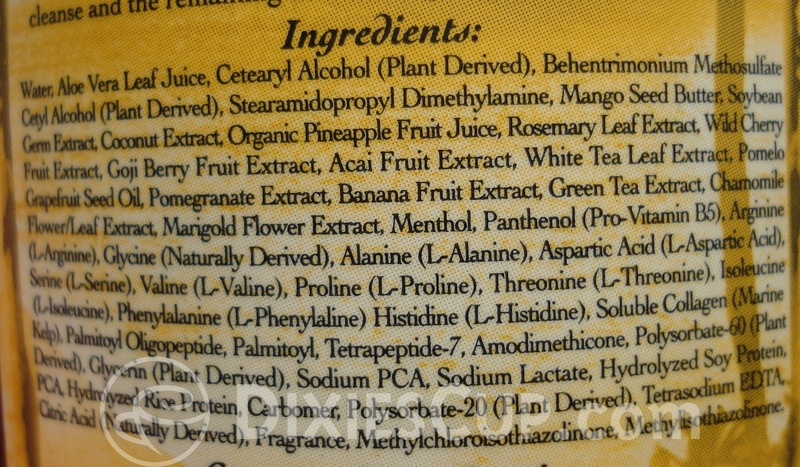 I took pictures of each section on the back so you can read the information for yourself. 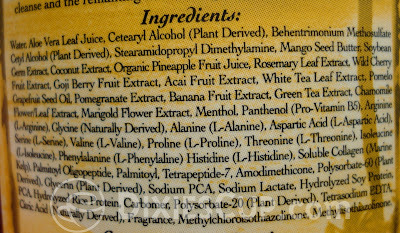 I am OBSESSED with reading every last bit of the backs of my product bottles, so in case there is anyone else like that out there, eat your heart out! When I first read the directions, I thought that 10-20 pumps seemed excessive. I seriously thought they were just trying to get you to use too much product so you would have to repurchase more often. However, if you purchase this, you DO need that many pumps. 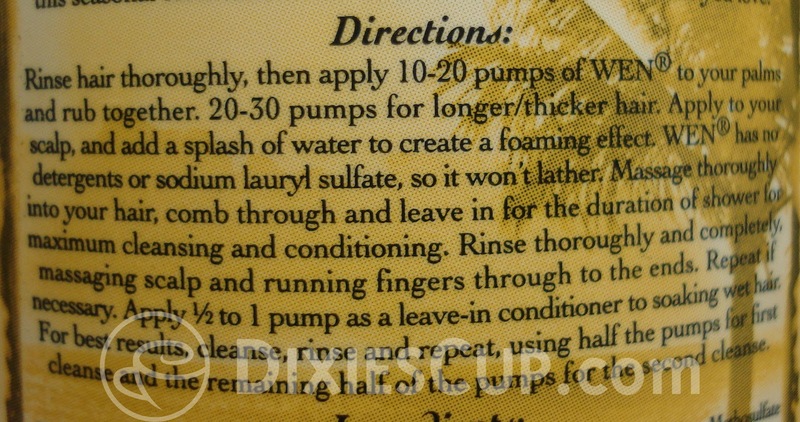 If you use too few, the "cleansing" part of the cleansing conditioner isn't as effective. 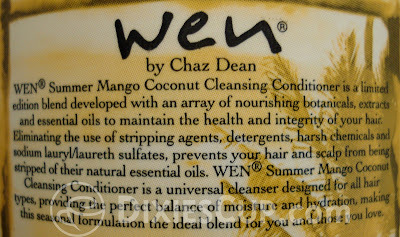 For my oily hair, that means that it doesn't wash out all of the oiliness. :( When I used this for the first time or two and discovered after blow drying my hair that it was still oily, I was very disappointed and almost threw it out. I was convinced that this product just wasn't made for oily hair. For some reason I cannot remember I decided to give it another go, and I managed to actually follow the directions. Genius, right?! This time around my hair felt very clean and oil-free, and it seemed moisturized and soft as well. Yay! Once I figured out how to properly work this new discovery, I used it in place of my regular shampoo and conditioner. 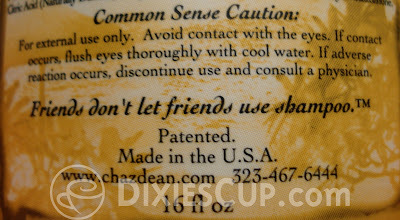 I used it every time I washed my hair for the next 3 or 4 weeks. It was amazing! My hair had somehow managed to maintain most of its red color. Yes, I'll admit my hair had faded a little, but not as much as it usually does. If you never washed your red hair with shampoo, but just got it wet in the shower, it will still fade. So I was and still am very happy with the results. The next time I had to color my hair was because the roots were growing out, NOT because the red had completely disappeared! For whatever reason, I decided to give my shampoo and conditioner another go before I colored my hair to cover the roots. I guess I just wanted to see what would happen? SO MUCH red washed out in that ONE wash it was impressive. I don't know what I was expecting would happen, but it definitely wasn't that. 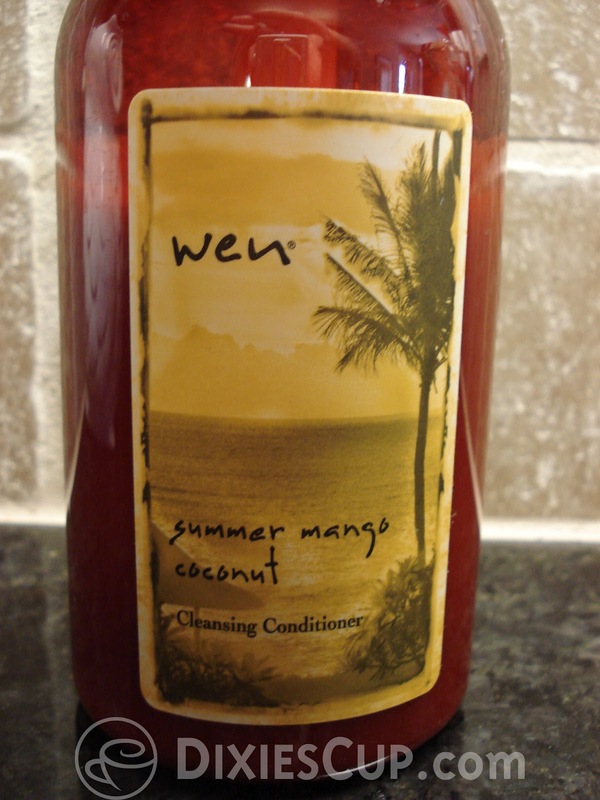 A quote from the WEN website: "Unlike many ordinary shampoos, WEN® cleansers are made with natural ingredients and contain no sodium laurel sulfate or other damaging detergents. They don't lather; instead, they create smooth foam when mixed with water for shinier, healthier-looking, more manageable results." The part about it not lathering is very true, and it takes a while to get used to. 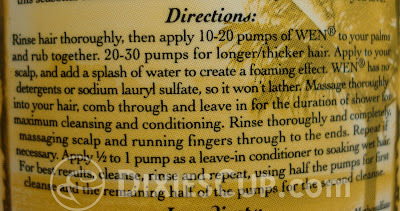 I've used lathering shampoos all my life, but just because it is not lathering doesn't mean it is not cleaning. Now let me get this out of the way. If you have previously tried shampoos that claimed to not have sulfates and were disappointed, don't let that deter you from this. I have tried one or two that still seemed to be drying to my hair and scalp, and it also didn't stop the fading of my hair color. This one is different. Also, a shampoo pet peeve of mine? That damn John Frieda Radiant Red Shampoo that claims to "preserve and magnify vibrant red color". As far as I'm concerned, it is no different from any other shampoo out there. 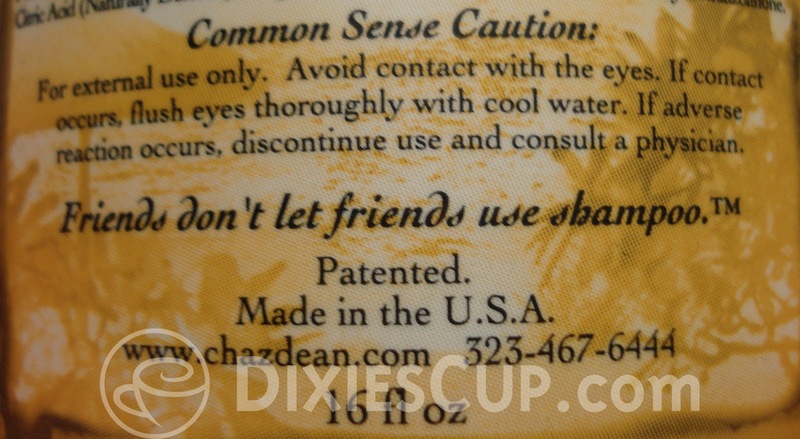 It has all kinds of sulfates in it and if your shampoo has any of that, I don't care how much the bottle says it, it will NOT prevent fading. I will leave you with a couple of links for places you can find this product. This site is only if you want to buy a subscription to this product. It is $29.95 for a 30 day supply which includes a 12 oz. bottle of the cleansing conditioner as well as several other extras. I think it is a good site to learn about the product, but I personally hate having subscriptions to products. I like this site. I haven't yet purchased from it because I just discovered it while researching for this blog post. I like it because, unlike the QVC site below, you can purchase each scent separately. This is where I purchased the bottle you see in the photos above. Overall, I would say this is the site where I've found the cheapest cleansing conditioner, but there aren't as many options. I was able to buy the Summer Mango Coconut by itself, but I can't seem to find many other scents that aren't bundled with other products. $29 + Shipping (~$6-7) for a 16 oz. bottle. $40 for two 16. oz bottles. You can also purchase this from Amazon.com or eBay, but you never know how much it's going to cost. I got lucky the first 2 times and purchased it cheap, but currently everything I can find is more expensive than the other sites I've mentioned. Cucumber aloe - Fine hair, and those with oily scalps but dry ends. Fig - Thick, coarse, curly hair, and any hair that is extremely dry/damaged. 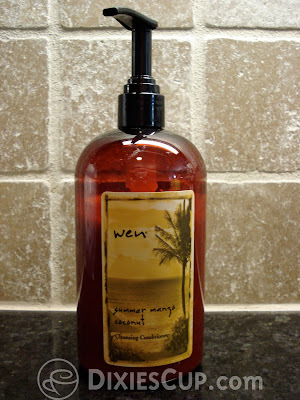 Lavender - All hair types, this is their volumizing cleansing conditioner. Pomegranate - All hair types. Sweet Almond Mint - Fine to medium textured hair. Tea Tree - For anyone experiencing scalp issues like itchiness or flakiness. Boy... I have rambled a LOT. I have so much to share about this cleansing conditioner, as well as my experiences with red hair. I will stop here and let you recover from reading my novel... If you've made it this far, thanks SO much for reading! Good to know! I usually just wash my hair 1-2 a WEEK to hold my color. And/or use dry shampoo.